Zen Buddhist temples have been providing accommodation for pilgrims for more than a thousand years – though nowadays most temples aren’t too fussy about the doctrinal affiliations of their guests – so long as they follow the rules and show respect for the monks, anyone is welcome. This means that you can use temples as a relaxing base for sightseeing – but not for wild partying – though they’re definitely much more destinations in their own right than just places to stay. Monks keep their conversation to a minimum, and never raise their voices, so even talking loudly is frowned upon – and if you start taking flash photographs of the religious ceremonies you’re liable to be thrown out. 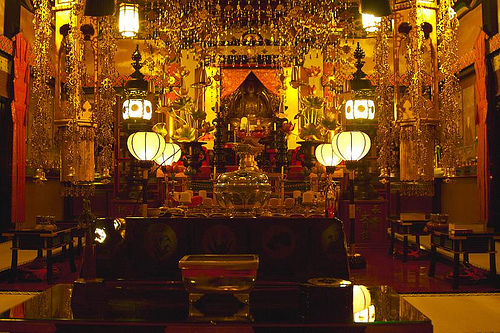 Nowadays temple lodgings serve mainly as a way for busy people from hectic cities to get some stress relief and unwind. 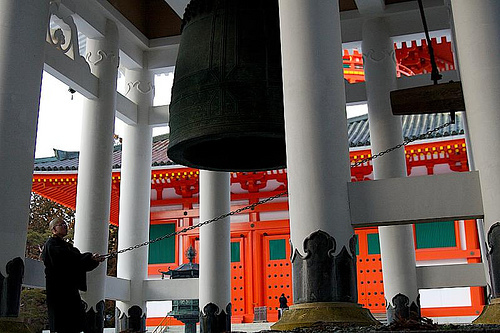 While Japanese people continue to follow Buddhist and Shinto rituals – it’s very much as a tradition – few Japanese actually take religious teachings very seriously – so they probably know as little about the meanings of most of the rituals as you do. It’s doubtful that this bothers the temples very much, as for most of them their chief aim is to help people to live happier lives, not to convert them or save their souls. Rooms are similar to those in minshukus, Japanese style with futons rather than beds. 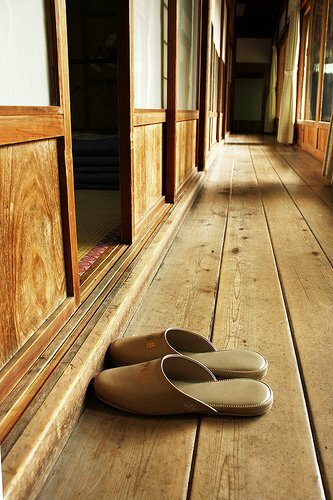 Temple lodgings vary in quality from old and somewhat dilapidated, to modern and luxurious, but no matter how old or new, the warm wooden buildings make a welcome change from the concrete drabness of most Japanese architecture. As most temples are surrounded by nature, the scenery and the peace and quiet can leave you with the feeling of being enveloped in a cocoon of peace and harmony – which is exactly what the designers intended. Present all the time in the background, the slight smell of incense adds an exotic tinge to the experience. The best feature of most temples is the Zen gardens, carefully designed to reflect the changing seasons. Artificial hills are placed to look natural – but natural in a perfectly harmonious way – not the random hotchpotch of real nature, while the plants are carefully sculpted into shape. Stones are placed to represent mountains and islands, while gravel, beautifully raked into uniform patterns, without a pebble out of place, stands in for rivers and lakes – real water features being completely absent. Zen gardening is an art form built up over a millennium, and it takes many years of practice even to achieve mastery of raking the gravel. The gardens are designed to express cosmic beauty, and simply standing and watching should be one of the most restful experiences of your life. Seeing the exquisite perfection and order of the neatly raked gravel, it may be hard to resist the urge to dive in and mess it all up – but if you do, don’t expect the monks to see the funny side. 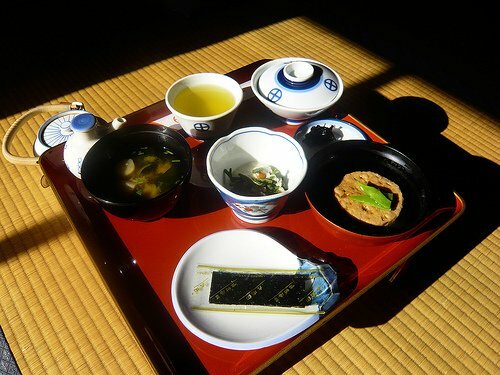 Dinner and breakfast are usually provided, giving you a chance to sample the unique vegetarian diet of the monks. Carefully selected vegetables are used to create a meal that is as pleasing to the eye as it is to the taste buds. While some of the flavours might seem a bit odd to a Western palate, you can be assured that it’s one of the most nutritious meals you’re ever likely to have – designed to provide enough energy to sustain you through the day. And monks definitely aren’t teetotal, so you may get the opportunity to sample some sake (rice wine) too. If you really want to get the most out of your stay, it’s worth getting up early to take part in the morning meditation – which usually starts at six. At some temples participation is compulsory. It’s not difficult – you sit cross legged and try to empty your mind and remain completely still for around half an hour. You should aim to control your breathing, and feel time move around you – but be careful because, if he thinks you’re fidgeting too much, or not concentrating properly, a monk may hit you with his ‘encouragement stick’. If he does so, you should put your palms together to thank him for his assistance. The largest collection of temples offering accommodation is in the vicinity of Mount Koyasan – somewhat out of the way – but well worth the trip given the beauty and tranquillity of the destination – a mountain plateau surrounded by dense cedar forests. There is a choice of 50 temples here, charging between ¥9,500 to ¥16,000 per person, including dinner and breakfast. 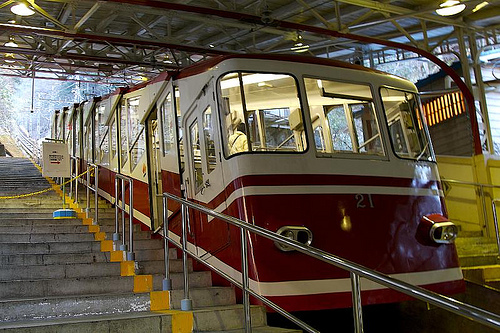 To get there, take the Nankai Electric Railway to Gokurakubashi Station (one hour and twenty minutes by express train from Osaka Namba Station), and then ride the funicular railway up the mountain (5 minutes).